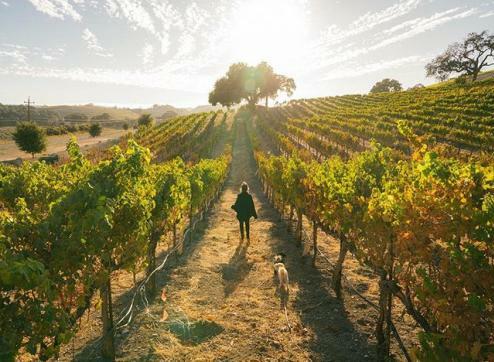 Explore the vineyards, farms and rolling hills spotted with vibrant colors this fall season in SLO CAL (San Luis Obispo County), located midway between Los Angeles and San Francisco on California’s Central Coast. From wildlife viewing to helping with the local harvest, you&apos;ll enjoy an abundance of activities paired with delicious autumn events. Fall is in full effect in SLO CAL, where the sun—and fun—will be shining! Whether picking the juiciest apples from orchard trees or gathering plump grapes from the vines of local wineries, guests will want to experience fall in SLO CAL. Avila Valley Barn, along with many other you-pick farms in SLO CAL, allows guests to spend their day picking apples and other seasonal offerings to take home and enjoy. A day of apple picking is perfectly followed by dessert of the Barn’s delicious homemade pies, hot apple cider and fresh produce. Pack a picnic for the family and head to the See Canyon Fruit Ranch, where there’s an abundance of organic produce, local cider, honey and other fresh treats. For a more adult day of harvesting, guests can pick and crush grapes or bottle wine during Harvest Wine Weekend (Oct. 19-21) in Paso Robles Wine Country. Here, over 200 wineries are bustling with harvest-focused events and winemaker dinners. In SLO Wine Country, there are more behind-the-scenes vineyard activities at Harvest on the Coast (Nov. 2-4). This event features a grand tasting, a wine auction and special Surf’s Up Sunday to round out the weekend. Take a hands-on with FARMstead Ed. This unique organization offers a variety of educational experiences at local farms, ranches and agriculture-related venues around the county. In SLO CAL, wine tasting is found on every corner, with over 250 wineries vinifying 40 different grape varieties. While great wine is abundant, it’s not the only thing to taste this fall. The Paso Robles climate creates one of the best regions to grow olives and press olive oil. The harvest begins in mid-October/November and tasting rooms around SLO CAL showcase these carefully pressed, high-quality oils. 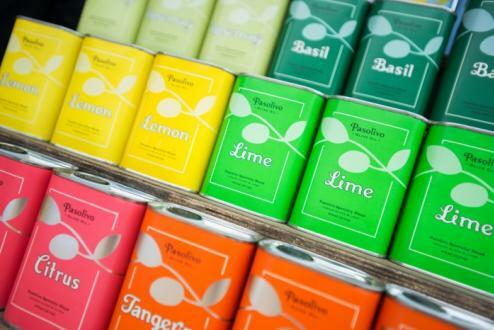 Visit The Groves on 41, where guests can take private tours and lounge in the outdoor beauty of country living, or stop by the Pasolivo tasting room and try their Tangerine Olive Oil, among other artisan goodies. Satisfy your sweet tooth with locally grown honey! Many farms supply delectable and unique flavors of honey, like clover, orange blossom, pomegranate, avocado and more. The local honey is raw, natural and unfiltered which makes for some delicious sampling. Stop by the Golden Oak Honey Festival (Oct. 27) with the entire family to try all of the flavors. Or, take in some aromatherapy with the soothing scents of the Harmony Lavender Farm, located in Atascadero. With products including Lavender Mint Tea, guests will be sure to enjoy a rejuvenating experience at this therapeutic garden. You won&apos;t want to miss out on the area’s unique wildlife and animal experiences. Covell’s California Clydesdales is home to Monterey Pines and, of course, majestic Clydesdale horses. As a nature conservation easement, the property showcases exquisite views of the ocean. Take a trailside or simply tour the property. A trip to this ranch is perfect for horse and nature lovers of all ages. 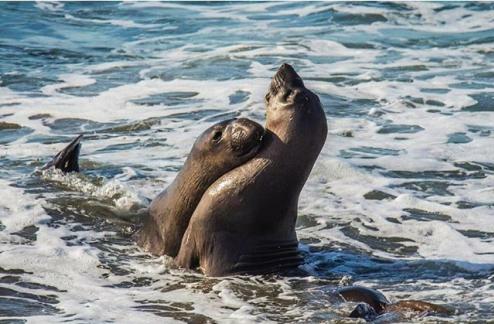 The Piedras Blancas Elephant Seal Rookery offers six miles of shoreline covered in thousands of Elephant Seals with peak season from October to December. Watch as these blundering behemoths sunbathe on the sand, fight for their females and wallow about in the water. An ocean view and the famous Morro Rock await in Morro Bay, where guests can take a trip on an autumn sunset cruise. Explore the beautiful coastline on a quaint boat ride perfect for viewing the sky’s color array, enchanting sea life and the serene bay. Or catch a brunch cruise and start your day the Morro Bay way! The kids will love to marvel at thousands of black-and-orange Monarch butterflies as they make their fall migration to temperate Pismo Beach. This year’s epic butterfly season begins with the Monarch Grove Grand Opening Celebration (November 3), featuring family-friendly activities, interesting displays and close encounters with thousands of winged wonders. Get in the spirit of fall and celebrate Halloween this year in SLO CAL. The city of San Luis Obispo is famous for its local Thursday night Farmers Market, offering local food, fresh produce and the annual Great Pumpkin and Scarecrow Contest in the Mission Plaza. Further north, scarecrows take over Cambria for the Cambria Scarecrow Festival (Oct. 1-31). This community-wide event features hundreds of scarecrows and has become one of the most unique festivals of hand-crafted folk art in the United States. 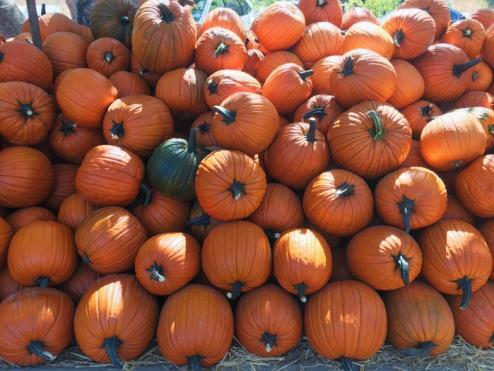 Pumpkins fill the town of Pismo Beach in autumn, especially at Dinosaur Caves Park. Pumpkins in the Park (October 27) is a family-friendly event with a number of Halloween activities including pumpkin decorating, costume contests and bounce houses. 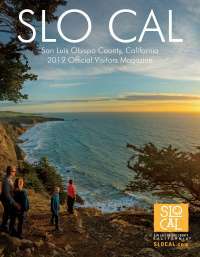 There’s so much to explore in SLO CAL, it’s impossible to mention it all. Explore more events + festivals on our events page and book your lodging today!